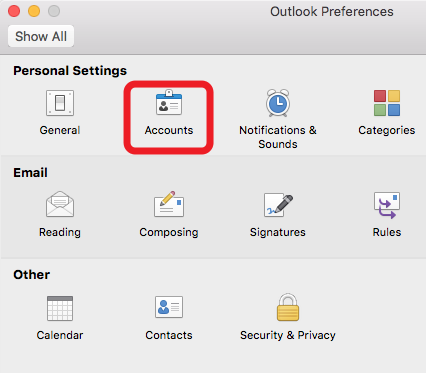 How to access my O365 account with Outlook 2016 for Mac? 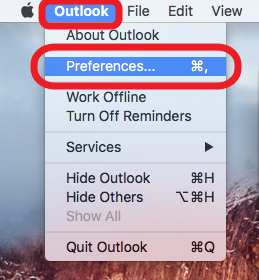 In the Outlook Preferences window, click Accounts. 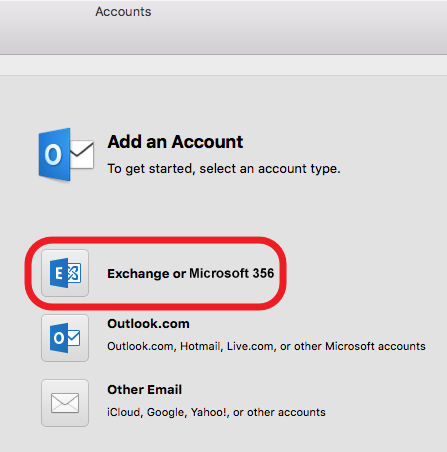 In the Accounts window, select Exchange or Office 365. 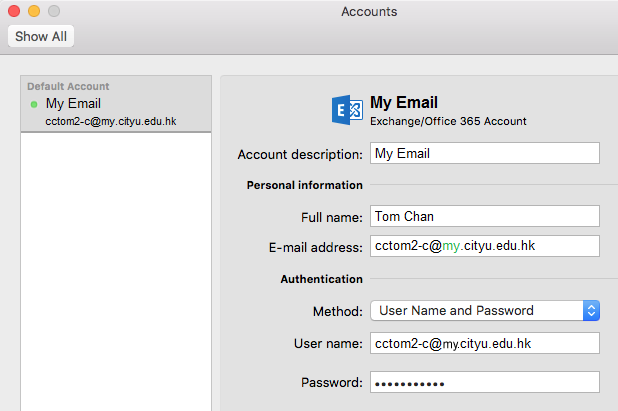 When Accounts window appears, type YourEID-c@my.cityu.edu.hk (e.g. 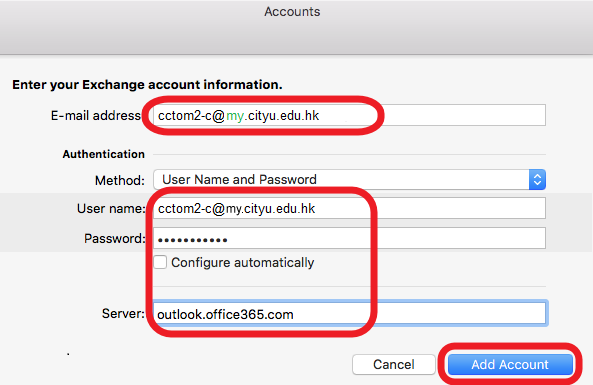 cctom-c@my.cityu.edu.hk) to the text box E-mail address. User name is YourEID-c@ad.cityu.edu.hk. Key in password, clear the Configure automatically check box. Type outlook.office365.com to the text box Server. Click Add Account to continue. 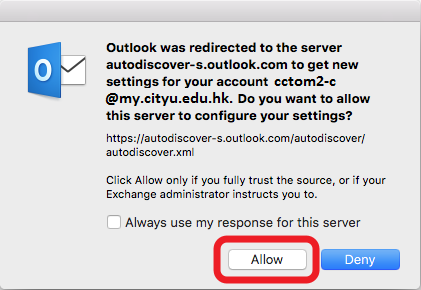 The following message will be prompted because Outlook tries to access O365 server by your account. Click Allow to continue. If the information provided is correct, this account will be set up successfully.